Professor Marc O. Eberhard, Ph.D. 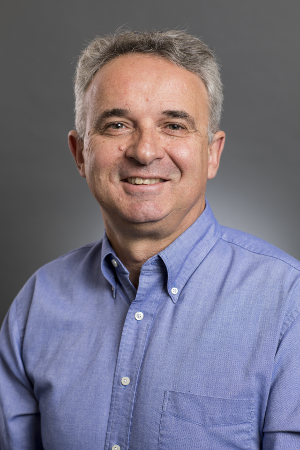 Professor Marc O. Eberhard, Ph.D., University of Washington, has been selected as the recipient of the 2018 Academic Engineer of the Year Award in recognition of his exceptional career as a structural engineering educator who integrated cutting edge research with engineering design and problem solving. His teaching, student advising, publications, lectures, and participation in technical conferences have led to significant advances in the state of earthquake engineering practice. As the current leader of the structural engineering program, he is responsible for overseeing undergraduate and graduate educational programs. He has collaboratively led the efforts to create new courses, to revise the content of existing ones, and to review graduation requirements to ensure that they meet the needs of students and professional practice. He has been a great mentor to graduate students and has involved them in many of his research projects. Many of these students are now working locally for public agencies and private engineering firms, and many of his Ph. D. students are now teaching at other universities. As a researcher, he is most widely known for his work on the performance of reinforced concrete columns during earthquakes and for the development of new bridge bent systems that make it possible to construct bridges quickly in seismically active regions. He developed a web-accessible database with the results of tests of more than 600 reinforced concrete columns. Using this database, he and his students developed engineering tools to evaluate the deformation capacities of reinforced concrete columns at various levels of damage. More recently, he has been working on the effects of tsunamis on bridges and on the effects of large-magnitude earthquakes and sedimentary basins on buildings and bridges in the Pacific Northwest. He and another faculty member have developed a new seismic design methodology to account for both the spectral acceleration of expected ground motion and the duration.